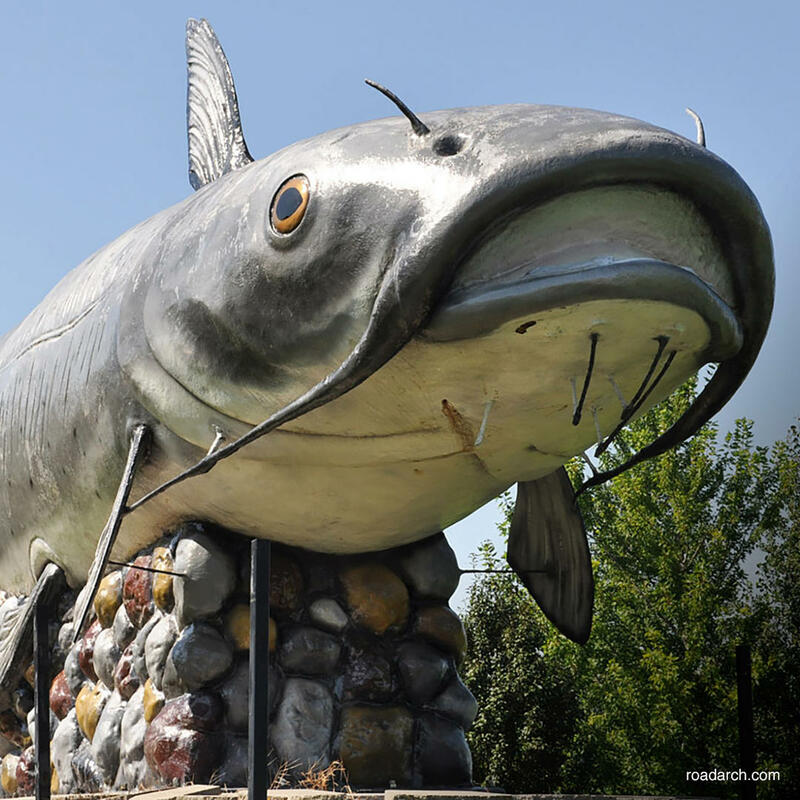 "Wahpper" is 40 feet long and 12 feet tall. He is also a stone's throw from the Minnesota which is right across the river. He is mounted on a tasteful stone platform and is fully fleshed out with fine detailing on his body and fins. Sometimes the river floods giving Wahpper the chance to swim again.